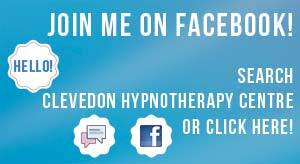 Fees for hypnosis and hypnotherapy with Ron van der Holt at Clevedon Hypontherapy Centre. Free Initial Consultation and screening. This is an informal appointment to discuss your situation, and is provided free of charge. Suggestion Therapy. A single powerful session for relaxation, confidence boosting, nail biting, interview / driving test nerves, fear of needles, help with sports performance etc. £55.00 per session. Stop Smoking Easily Session. Quit easily in one session. £85 for the session (up to 2 hours). Analytical Hypnotherapy (Hypnoanalysis). Find and resolve the causes of problems, phobias and anxiety using this gentle and special type of therapy. £65 per session. Hypnotherapy for Children (Suggestion Therapy and Blow Away Sessions) – £45 per session. Consultation and Speaker Rate: £25 per half hour. Note: Please provide 24 hours notice for missed appointments or an invoice will be sent. Only the first consultation is free. Any initial consultation cancelled within 12 hours of appointment will be invoiced the Consultation Rate.